The Commission should interpret the scope of its Terms of Reference as set out in the Warrant issued by His Excellency the President, taking cognizance of the reasons and historical background leading to the appointment of the Commission, the expressed recommendations of the Lessons Learnt and Reconciliation Commission and the expectations of the family members of missing persons. As the main intention of the investigation is to systematically address all complaints of missing persons, the Commission needs to initially make public, a certified list of complaints of missing persons followed by verification whether such persons are living, dead or in legal custody through an investigation of the their current status and their likely whereabouts, where applicable. The Commission also needs to extend the scope of their terms of reference to include the investigation of, where necessary, the circumstances leading to disappearances and the associated failure of law enforcement personnel in upholding the rule of law. In addition the Commission should address issues of legal redress and compensation to family members for death or disappearance of their loved ones. Other significant consequences of disappearances which need to be addressed are livelihood support to families, safety, security and assistance in obtaining death certificates where applicable. Psychosocial support and rehabilitation treatment to family, where necessary, in addressing post traumatic stress disorders should also receive the attention of the Commission. State assistance is important to fulfill funeral rites in bringing finality to loss of loved ones in order to fulfill the envisaged process of truth and reconciliation. The Commission should be flexible enough to accommodate fresh complaints of missing persons made as a mark of renewed public confidence in the inquiry process. Last but not least, the commission needs to make robust, effective and unambiguous recommendations to prevent or at least minimize disappearances and abductions that may arise in the future. a) the entire island and not only to the Northern and Eastern Provinces. c) Extend the cutoff date for inquiries on missing persons beyond the specified date of 19th May 2009 to 31st October 2013 in order to include post conflict disappearances. d) Make appropriate arrangements, similar to the LLRC hearings, to facilitate a secure, uninterrupted and unrestricted access to the public in hearings and engagement in order to assist witnesses, citizens and civil society representatives in attending and participating in the hearings. The Commission should deem it necessary to meet public and civil society expectations as expressed by the “Voices” of the citizens and Civil Society as expressed in the Media and as duly submitted to the Commission in written representations. The Commission also needs to take cognizance of the commendable broad interpretation of and the flexibility in expanding the terms of as recently adopted by the Commissioners of the Lessons Learnt and Reconciliation Commission of which some leading members are members of the present Commission. b) Bench mark their findings with the findings and recommendations of comparable situations in other countries/societies as well as those published in case studies and academic research in Sri Lanka and overseas. I take this opportunity to wish the Commissioners, the Secretary and all those associated with the Secretariat, all success with their endeavours, in bringing out a “Benchmark and Long Term Societal Value Adding Commission Report” that will be duly published, publicly and intellectually debated and effectively implemented. It is essential that the families of the victims be allowed full access and freedom to register their cases, including protection from intimidation and threats. Also should cover all cases of abduction, white vanning, death in custody etc. Full investigation of each and every case with due diligence should be initiated by the commission and action taken against anyone found guilty. The commission should have the power to summon witnesses, any member of the police or armed forces to give evidence. Who will talk about Velupillai Pabakakran’s extended family ? Before counting the missing civilians, the government should count the numbers of LTTE cadres and list them under various LTTE names and guises. Don’t forget those that carry guns without cyanide necklaces like the makkal padai. You’ll find most of the so-called missing are evaporated because they are in those lists. What do you by missing here, all the people went by boats to western countries ? The whole problem with these defeated Tamil terrorists is that they believe that they have all the right in the world to kill and go Scott free.How about Adle Balasingham appearing before the commission?Commission or no commission,if the defeated Tamil terrorists start their usual “Meat business”,we will respond appropriately.The defeated Tamil terrorists might identify themselves as HR activists/journalists etc,nevertheless the response will be devastating.My advice for the defeated Tamil terrorists is to get on with your credit card fraud scams,prostitution,extortion,drug trafficking,human smuggling,blackmail etc.But mind you not in Srilanka.As long as the defeated Tamil terrorists operate outside our shores,no problem.Hope the message is very clear. U can chant whatevet u want now.for around 30 years sinhala men were hiding behind their wives back.now after 2009 may u men attain puberty and became mighty men.mind ur words even the school going children from TN are good to end ur saga forever. Dont invite the wrath of TN. Why not put this data on the web – live as it is collected. So that the racist morns on either side can cheer as the numbers go up ? It will be particular entertaining for the Jaffna Tamils now settled abroad to check if none of the family or children are listed, because they were attending the best schools abroad, while they dolled out 5$ to a bunch of morons in support for the “cause”. Tiger Tamils never come and give evidence because they make false claim. 1.Disappearances from the prisons, police, and military custody. 2.Action taken or not taken on disappearances reported to the Police. 3.Ensure that the police and the military does not use coercion or any other force to prevent representation before the commission, and also ensure that those flouting this rule are immediately arrested and dealt with by law. 4. Ensure that false representation is likewise dealt with by arrest and legal action. As so many other commission reports before will this report be also kept from been made public? Sri Lanka conducting such an investigation is like a murder accused conducting a fair trial for himself! The provisions of the Commissions of Inquiry Act provides that the President shall appoint a commission to inquire and report to him on the matters set out in the terms of reference. As such the Commission has no discretion in this matter to make any part of the report public as suggested by the writer. Besides, he does not appear to be aware that some of the terms of reference of at least four of the earlier commissions on disappearances overlap the terms of the current commission. For instance they have already made well considered recommendations of the steps that need to be taken to prevent incidents of disappearances happening in the future. None of those recommendations have been implemented so far. A key recommendation to make the causing of disappearance of a person a penal offence is yet to be implemented. Among the many different recommendations for relief to victims of disappearances only the payment of a ridiculously low amount as compensation had been implemented to a large extent. In the circumstances to expect the outcome of the current commission to be of any significance, is wishful thinking. All disappeared Tamils are those who left SL in boats to Australia. Some reached Australia while others died in the journey. No one can prove otherwise. yes thre are over 1 million Tamils all over the world enjoying social benefits from the west. The real refugees are those who are stranded in camps in India. They must be helped. Count the numbers Fathima, More Singhalese on boats now – fleeing the mother land and willing even to die along the route. You gave them the start! 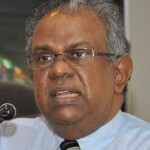 Peter Casie Chetty……….This is what we know as Kallathoni culture, there is no difference between Sinhalese and Tamils. Both ancestors were Kallthoni from North/South India. Now both are heading towards greener pastures after ruining this island for many hundreds of years. Its like LTTE terrorists learning terrorism from JVP terrorists. JVP had the head start in 1971. 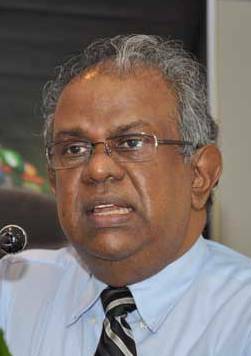 The party that should conduct the survey should be the Provincial Councils as they are closer to the people who are looking for an answer. Provincial Council should appoint those who go to collect the information and a government employee can also accompany. This would be fairly independent procedure. Unless this is procedure is followed, as we all know it is not an independent, dependable and credible survey. Who will talk about the tamils perished in the Australian seas ? All the disappeared Tamils are those losers who drowned en route to Australia. SL should pack 100 Tamil men a week in boats and drown them en route to Australia. No one will ever know. Just do it and SL will have peace.